Sunrise on a stormy morning at Whisky Bay in Wilsons Promontory National Park, Australia. This image was made at sunrise at Wilsons Promontory National Park with my very first DSLR camera, a Canon 5D camera. Do you think back in cameras? There’s so much that’s happened in my life and, no doubt in yours, and I have a lot of photography related memories that I associate with that particular camera. The photo itself is simply enough. The bush in the foreground stands out against the warmth of the rising sun. 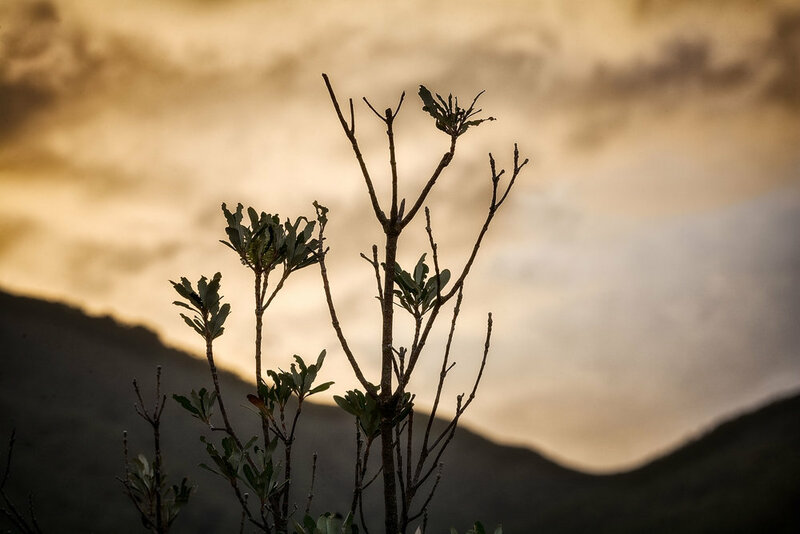 The fact that the foreground bush is almost in silhouette could be a problem in so much as it might be diminished by the brightness and color of the sky. That’s why I focused critically on the bush and employed a very shallow Depth Of Field to de-emphasize the brighter and more colorful background. On the desktop I brought back some of the shadow detail in the leaves, not visible in the original file, so as to introduce a hint of green foliage into the image. In doing so some of the foreground moves from jet black into shadows of varying brightness. That shadow separation is why I refer to this image as a near silhouette. It’s great fun photographing into the light, but there are a few tricks to ensure you end up with a good result. The first thing to understand is that any backlit subject matter, that isn’t translucent, will photography much darker than you remember it. What’s more when there’s a significant difference in brightness between the subject and the brighter background you can expect the subject to photograph black. 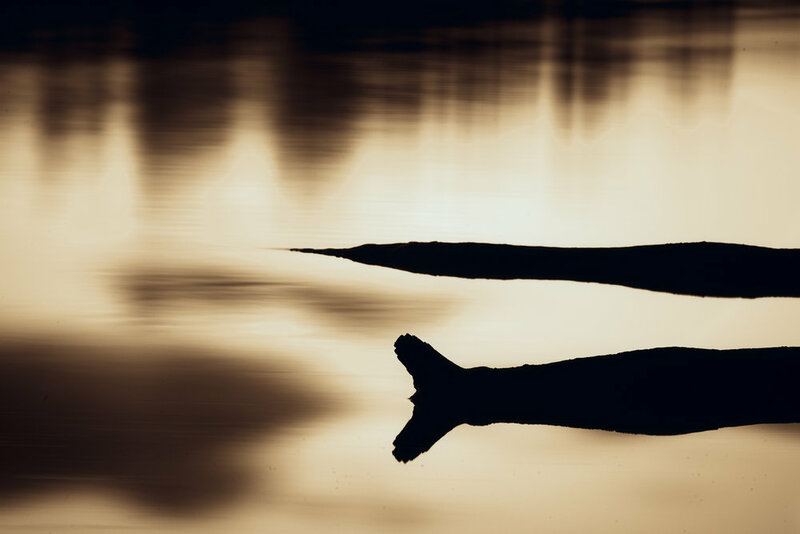 As long as your foreground subject forms a graphic design (e.g., line and/or shape) the resulting silhouette, placed against a colorful background, can produce a most evocative result. The good news is you don’t have to get up before sunrise to make great silhouettes. Sunset provides similar opportunities. If you find that interfering with your regular cocktail hour festivities rest easy. You can make silhouettes at any time of day so long as the background you’re photographing towards is significantly brighter than your subject. 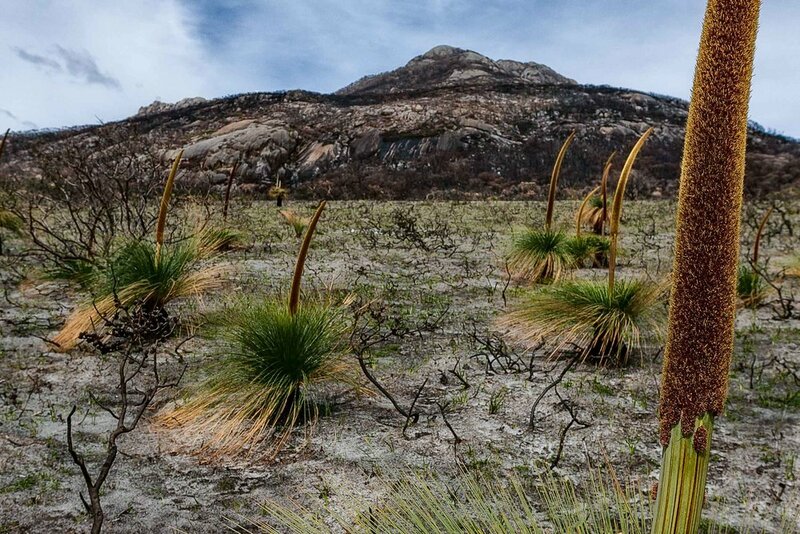 New plant growth following a devasting fire at Wilsons Promontory National Park in Australia. My advice is to get up, get out and enjoy life through the practice of photography. Once you have your head around the concepts of Shutter Speed, Aperture, ISO and the like you’ll be ready to take your photography up to the next level, that of the artist. That means tuning into the transient, transforming and transcendental nature of light. Evocative and emotive images will now surely follow.